Is your pup due for a visit to the groomer or vet? We can pick them up and drop them off so you don't have to rearrange your morning schedule. If you've ever had trouble meeting a pick up time we can alleviate the stress and have your dog back home before you are! Just give us a call and explain your needs to us. If you are moving to a new home and/or need your dog transported on a journey we can also help - just ask. Our SafeKey Program is ia standard market program. It is ideal for clients who travel frequently for pleasure or business, clients who use our regular dog walking or daycare/sitting services, and happy, satisfied clients who know they will be using us again. We keep two sets of your keys. The first key is used to access your home for sitting services. The second key is kept in our office as a back-up in the unlikely event that the first is either lost, broken, or fails to work in your lock for any reason. Participating in this program enables us to be fully ready to provide you with immediate service when you need us without having to plan a meeting to pick up your key. This program also makes it easy for us to provide you with immediate coverage should you ever have an emergency or any other short notice situation. Ask about joining our SafeKey Program at your initial consultation. There is no fee to join the SafeKey Program. Ready to go? Please click here to book a service and arrange your welcome consultation. To book an appointment or to learn more about our dog walking and pet sitting services, please email us or call us at (720) 515-3567. 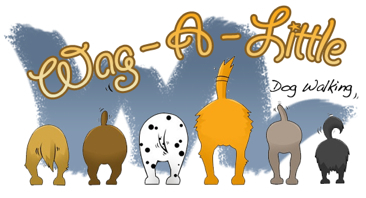 Copyright 2018 Wag-A-Little: Dog Walkers & Pet Sitters. All rights reserved.